The reason i really like this specific product, Karma is because it really shows a new twist on an old idea. AKA it seems like it is destined to be disruptive. Check out the unboxing photos below. Something BIG came today: BIG Jambox unboxing?? 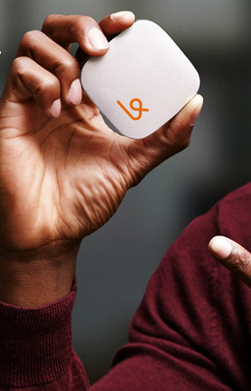 Karma is a 4G hotspot that runs on Clear wireless. It has a unique firmware that allows multiple accounts to run off the same account charge. Say you are commuting on the train, but you leave Karma running as a free Wi-fi access point. This makes it so others on the train may sync up with your Karma access point. For every new user that signs up (via a few simple clicks via facebook connect) to your Karma hotspot hardware you will be credited 100MB worth of free data (as will the user who is signing for the 1st time). Secret Sauce: The product feels significantly more social. From the sign up process to the usage dashboards, it has been designed to leverage facebook. The ease of connection, the data bonus / economic incentive of having random people connect to your hotspot for free is a great virality driver. I predict good things to come for Karma. (PS the hardware is identical to FreedomPop's mobile hotspot, except painted a different color).